Printers depend on hard flexographic printing sleeves to retain their shape so they can deliver consistent impressions at high speeds and variable conditions. 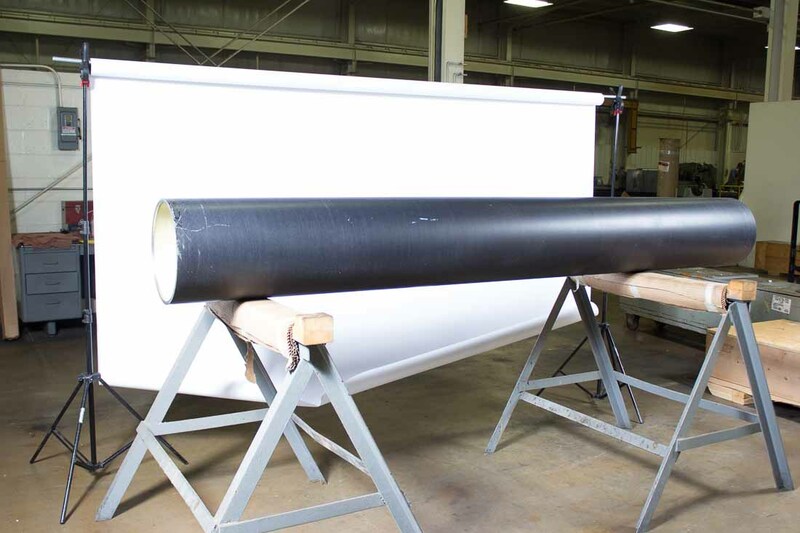 MECA Solutions has established itself as the leader in the manufacture of flexographic sleeves by virtue of maintaining tight tolerances and dimensional stability. MECA manufactures its premium-quality flexographic printing sleeves with a specially formulated, non-urethane-based resin that ensures product stability under heat and duress. This allows printers to run at maximum line speeds while retaining superior performance. "Our engineering and manufacturing teams are able to produce sleeves to match virtually any printing repeat requested," says Tim Olson, sales manager at MECA Solutions. "Durability is essential with today's fast, heat-generating presses, and MECA's hard flexographic printing sleeves are designed to retain their shape under virtually any condition. In addition to retaining dimensional integrity on the external surface, MECA's hard flexographic printing sleeves feature a perfectly smooth inside surface that creates the ideal tension for holding the sleeve on the mandrel. "We design all of our sleeves to minimize changeovers and downtime, adding notches for register pins and incorporating customer labels into the marking process," Olson says. "Our customers find this to be a cost-effective option to storing mounted cylinders." MECA is a trusted supplier of precision components such as replacement anilox sleeves for converting industry customers throughout North America. MECA technicians maintain the company's mandrels in-house to ensure they meet precise tolerances. MECA Solutions is North America's premier manufacturer of high precision cylindrical products for the printing and web handling industries. Included in MECA's product offering are flexographic print sleeves, heat transfer rolls, carry rolls, mandrels, coating rolls and other specialty roller products. MECA utilizes a variety of materials such as steel, aluminum, carbon fiber and other substrates to manufacture its precision products for the industrial printing, coating and web converting industries. For more information about MECA Solutions' hard flexographic printing sleeves, contact Tim Olson, sales manager; Phone 920-336-7382, email: sales@mecagb.com or visit https://www.mecagb.com/. View original article on hard flexographic printing sleeves here.